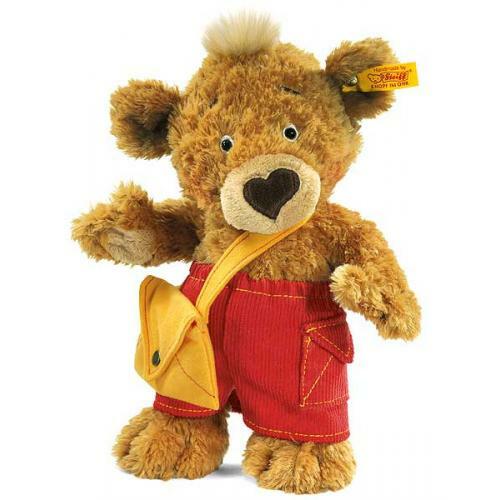 KNOPF Teddy bear is made of golden brown cuddly soft plush. He wears his yellow bag and red corduroy trousers. The wool felt bag is fastened with a press stud. 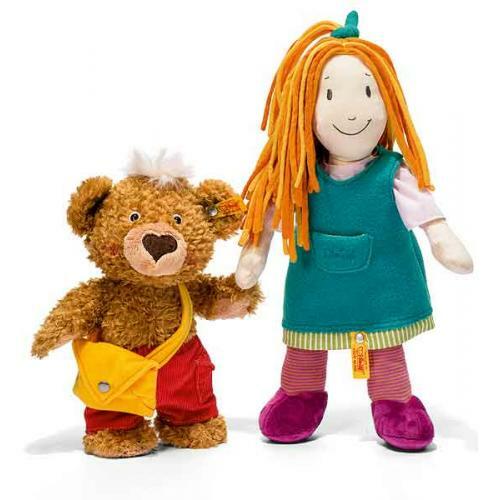 Both bag and trousers have a few stitiches fixing them to the bears body. 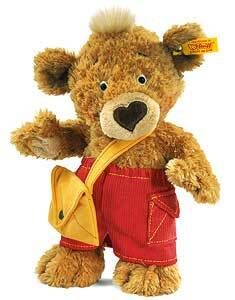 His name, Knopf which in German is, Button, as in Steiff's famous trade mark, Button in Ear. Knopf's best friend is, Frieda Doll.